Today on Flashpoints, we’ll get an update from attorney and land rights activist Judith Berkan on the present plight of Puerto Rico. 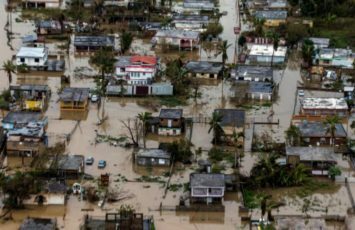 US Army veteran Ricardo Ortiz who was a patient at the VA hospital in San Juan Puerto Rico who warns that “…American troops are not there to aid the people of Puerto Rico…”. And author Sarah Adler-Milstein on her latest book about a sewing factory in the Dominican Republic that actually pays its workers a living wage.